Ah.... love is in the air. 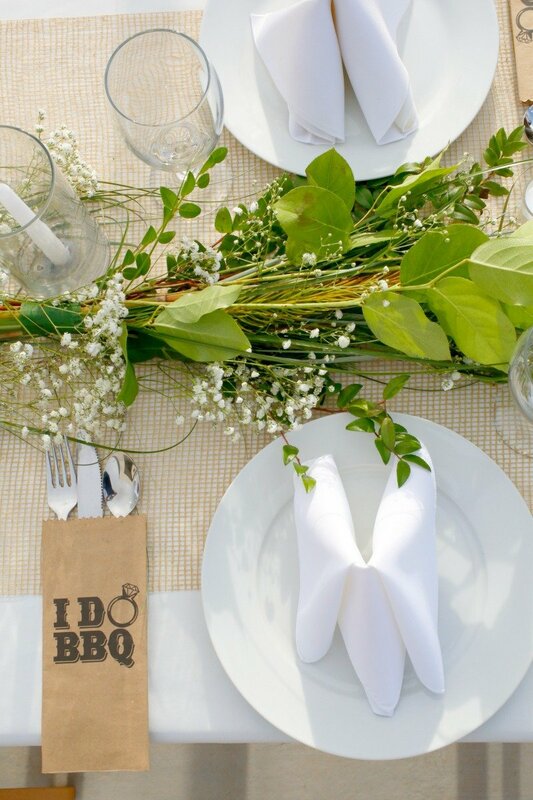 Welcome to Ben and Marcy's I Do BBQ engagement party! 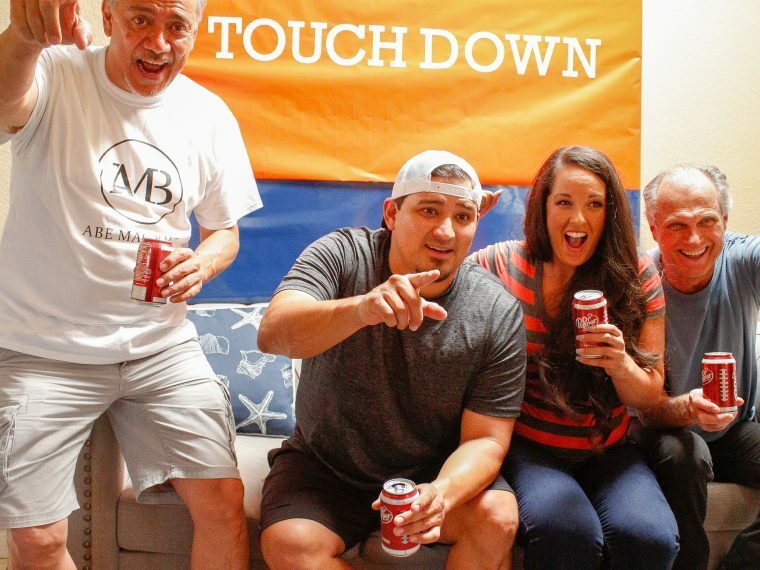 This past year I've stepped out of my comfort zone and have started connecting with local El Paso party businesses. 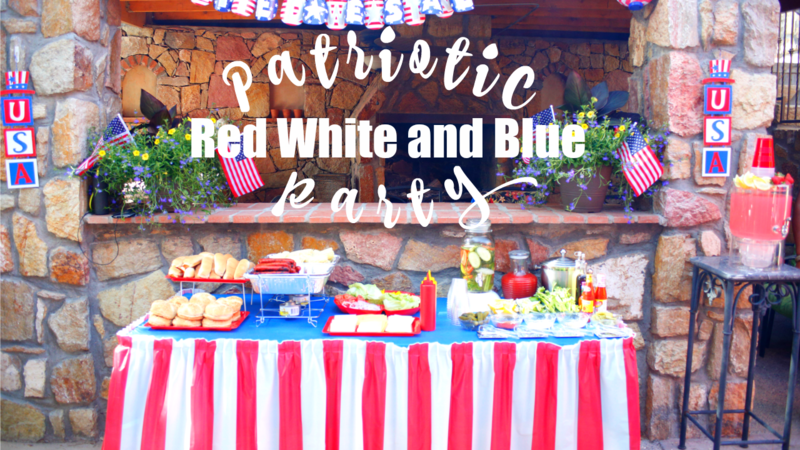 It's probably the best recent decision I've made because I can bring you fabulous parties like this one from Events Decor by Tahlia. Goodness gracious is this lady talented! 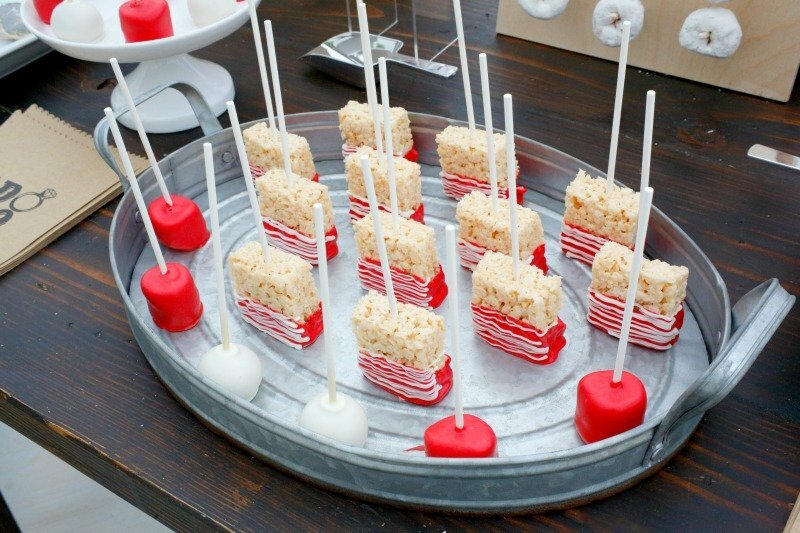 Not only can she style an amazing party, she can diy almost anything ANNNND she's a sweetheart. So I was super excited when she hired my bakery, Desert Flours, to do the cookies for this engagement party, and invited me to take pictures for the blog. Here are some of the cookies that I did. 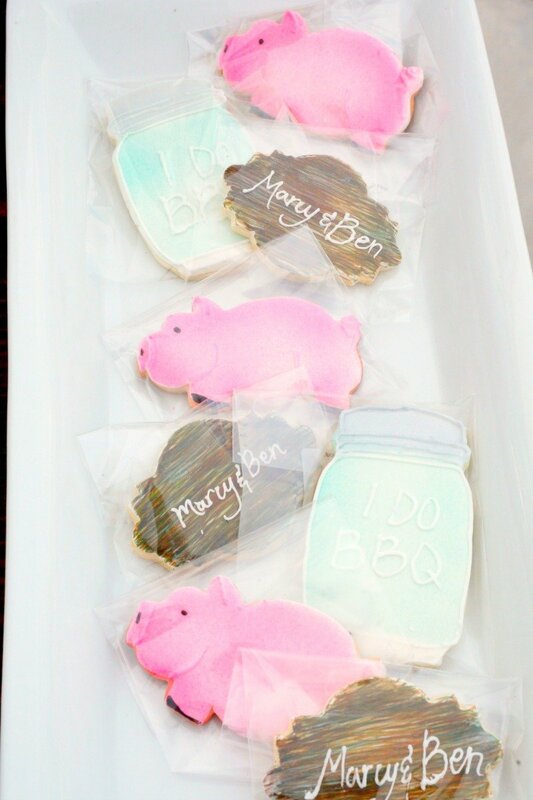 To go along with the barbecue theme, I made pig, mason jar, and plaque cookies as requested. I'm in the middle of getting a new blog started up to go along with Desert Flours Bakery, and I'll be sharing some of my cookie tutorials over there. 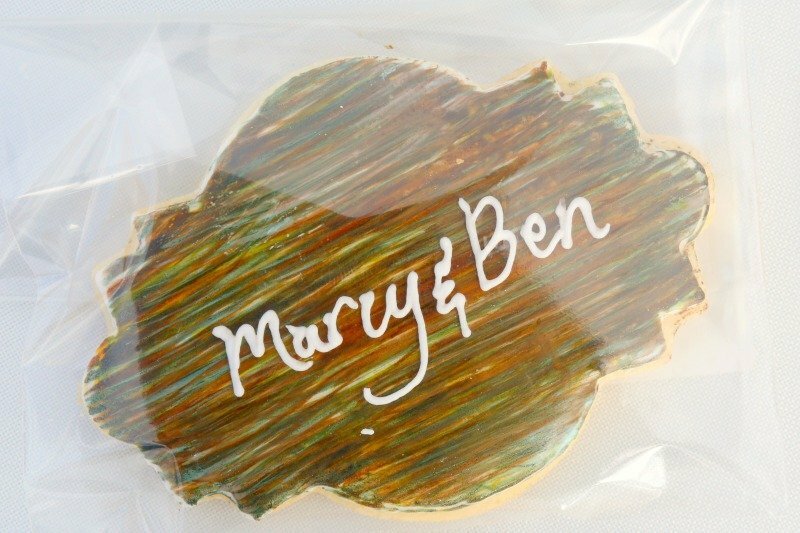 Keep an eye out for how to make these woodgrain cookies. 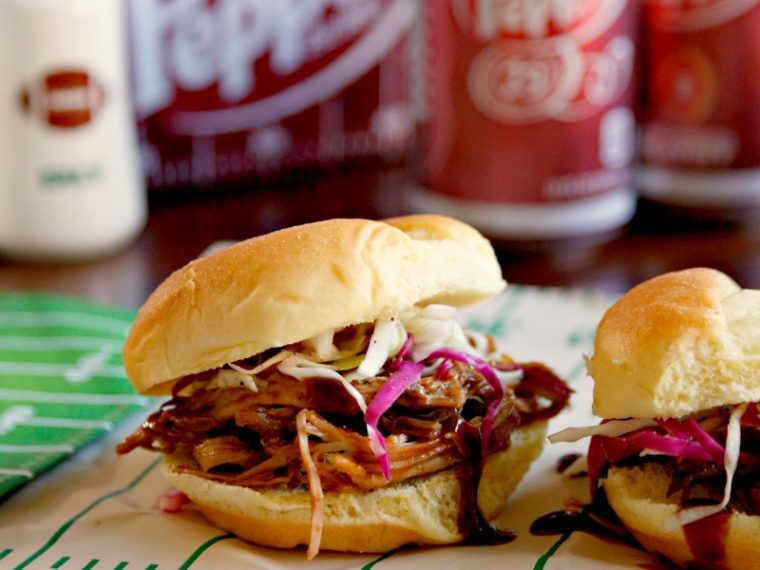 But, back to the I Do BBQ. Tahlia set up the a long banquet table to seat all 14 of the guests. 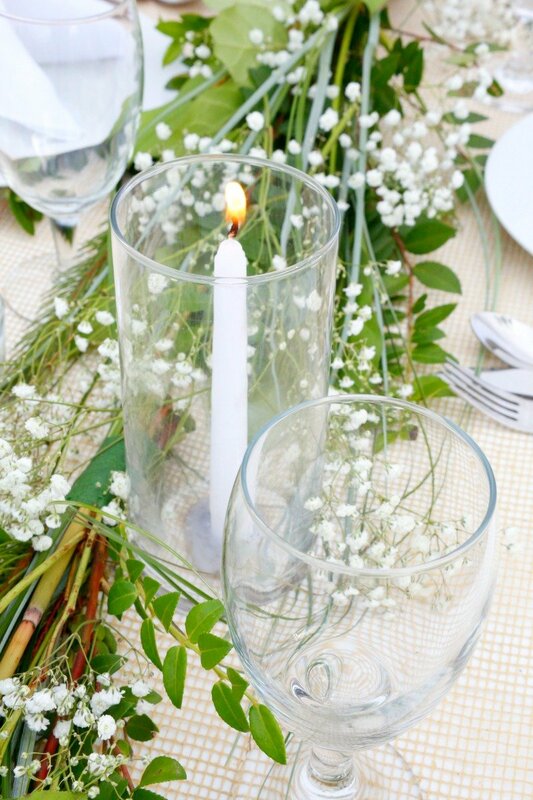 Don't you love all of the greenery and candles down the table? So pretty! 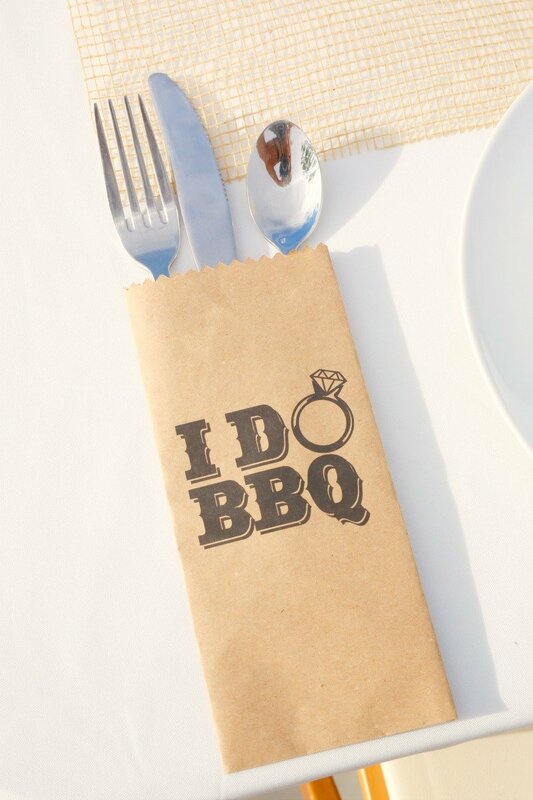 This is a little more elegant than a traditional I Do BBQ engagement party, so to bring back some "country" into this barbecue, the utensils were placed into these cute treat bags from Oriental Trading Company. 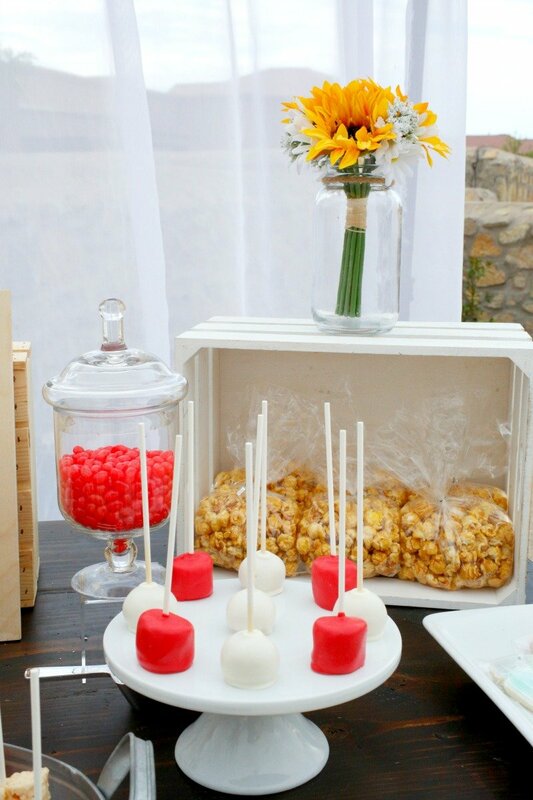 The treat bags were also over on the dessert buffet along with my cookies, popcorn from Popcorn Extravaganza, and lots of goodies made by Tahlia. 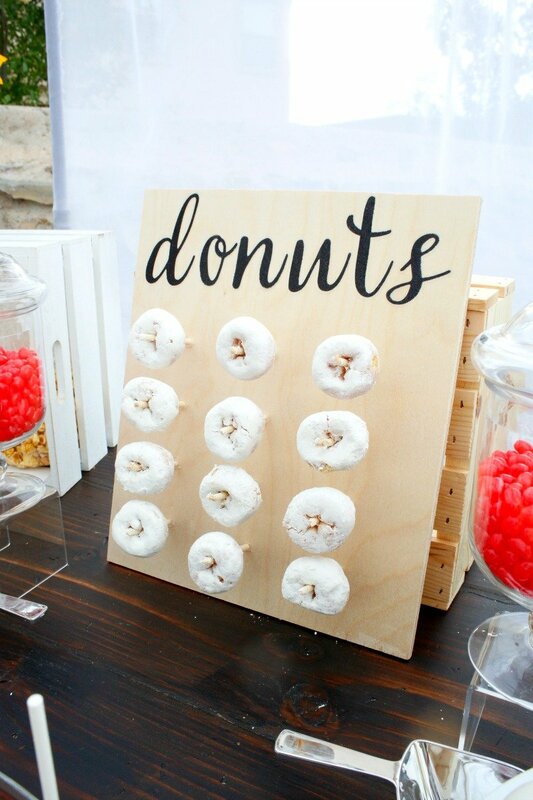 Donuts are super popular right now on dessert buffets, and I love how these were displayed. 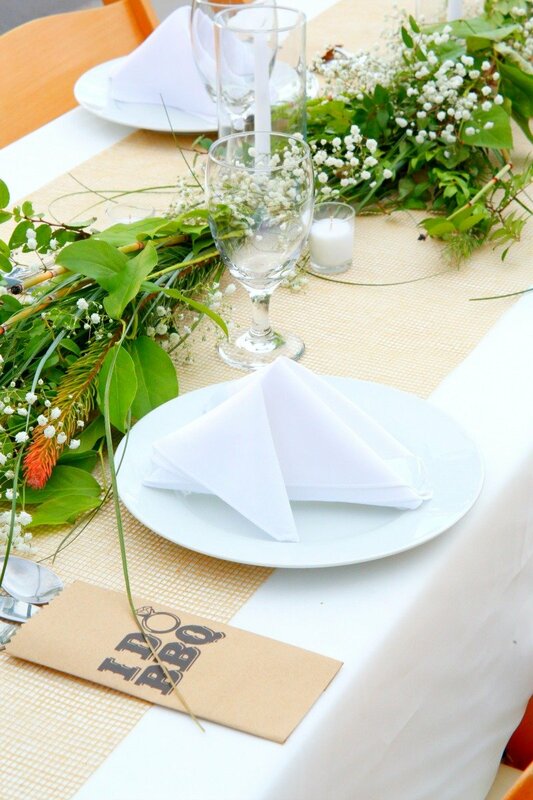 And little touches like this add an extra something special. 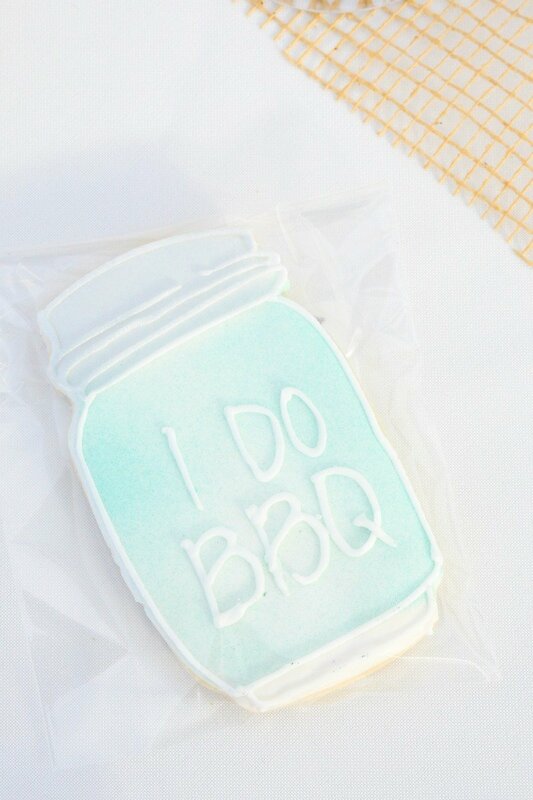 Here's a close up of the mason jar sugar cookies. Tahlia was still in the middle of setting up when I arrived with the cookies. I thought it was super smart that she had already pre-folded all of the napkins. It was really easy to help her set them out on the plates while she finished up with other details. So, there's a party tip going into my back pocket! 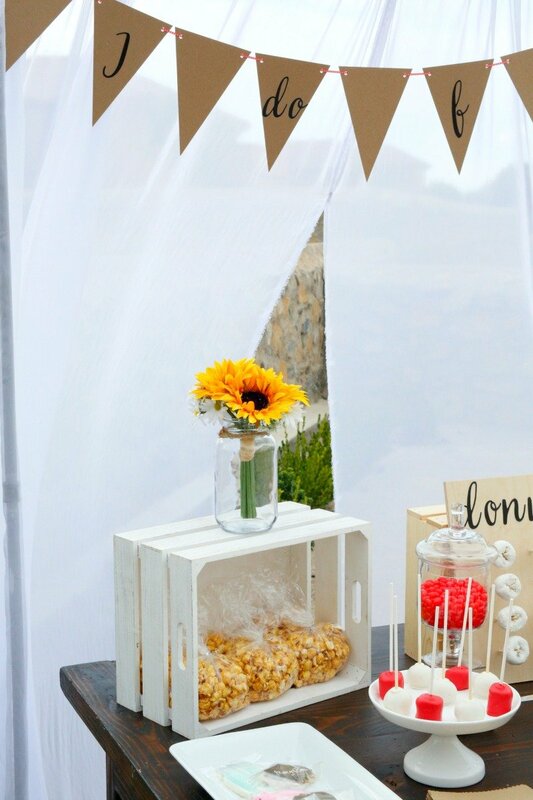 The dessert buffet had a lot of the party styling you would expect of a barbecue - pops of red and white, crates, galvanized metal and sunflowers. But it's done in such a fresh and beautiful way. And what a fantastic idea for a backdrop, right? This sheer white fabric was absolutely perfect and looked awesome blowing in the wind. 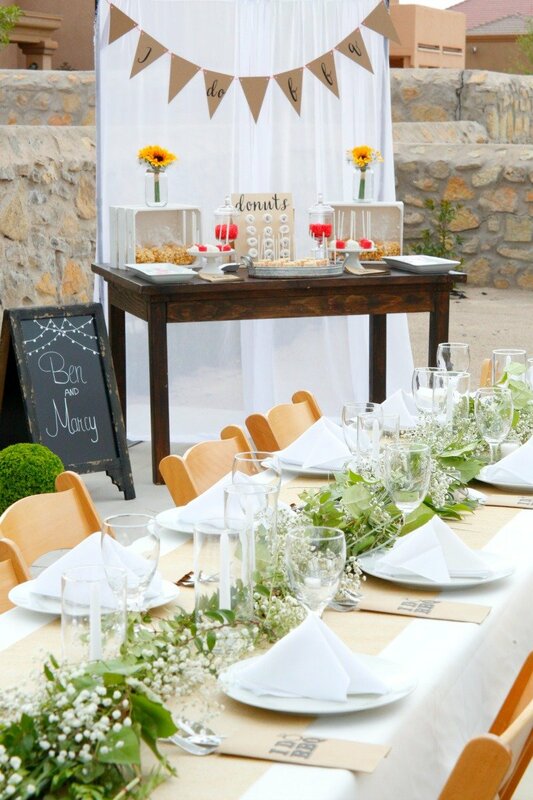 If you happen to be in El Paso, you should most definitely consider hiring Events Decor by Tahlia for your next event. 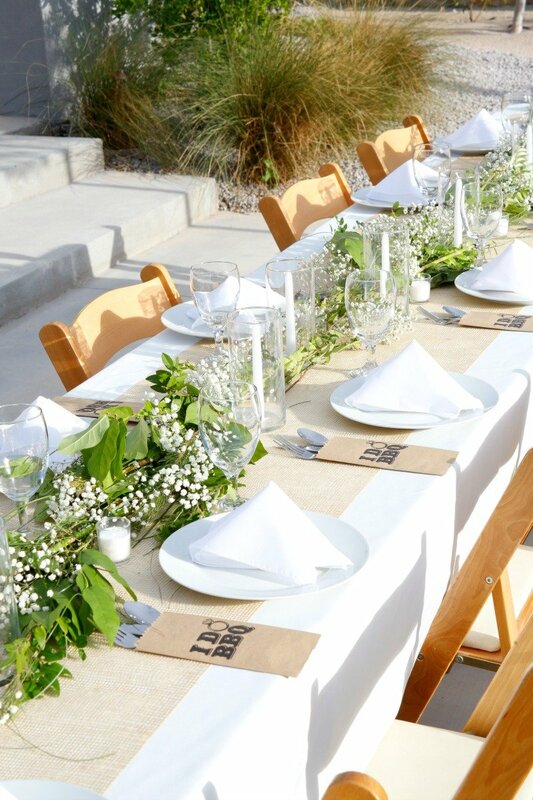 And if you're elsewhere, you should still follow her on Instagram for some amazing party inspiration. 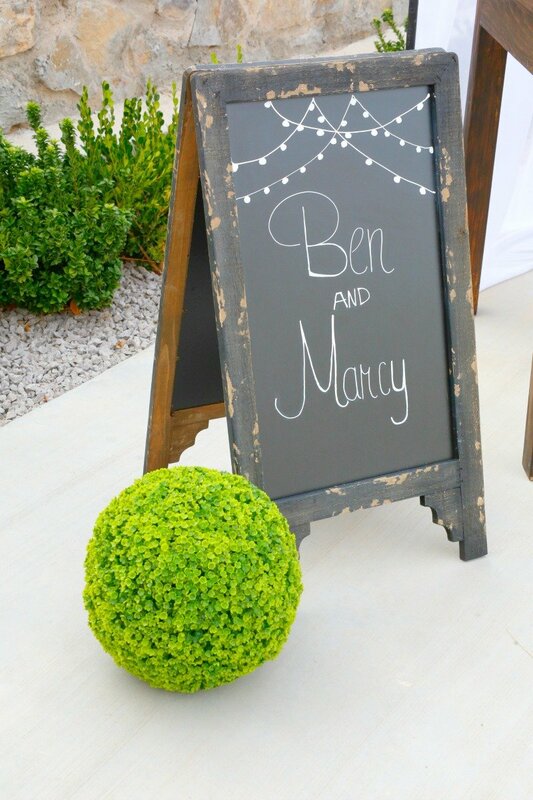 To Ben and Marcy, may you be blessed with a lifetime of happiness! 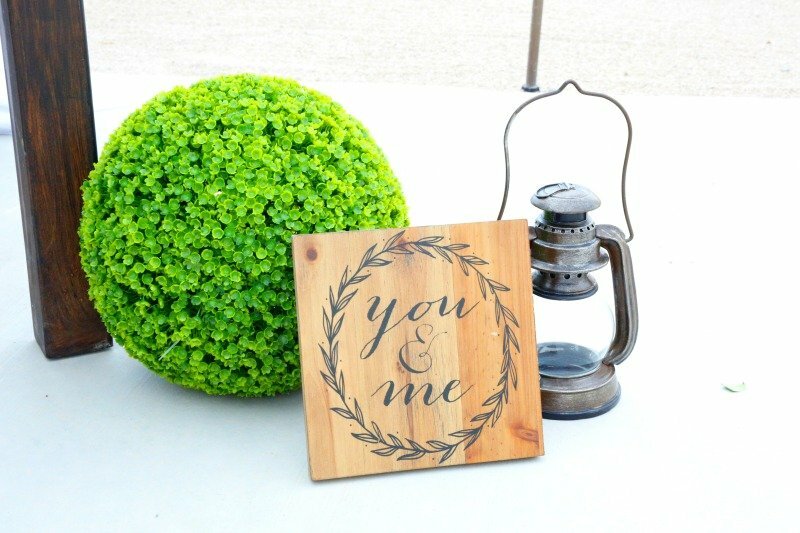 Well, that's it for this beautiful engagement party. 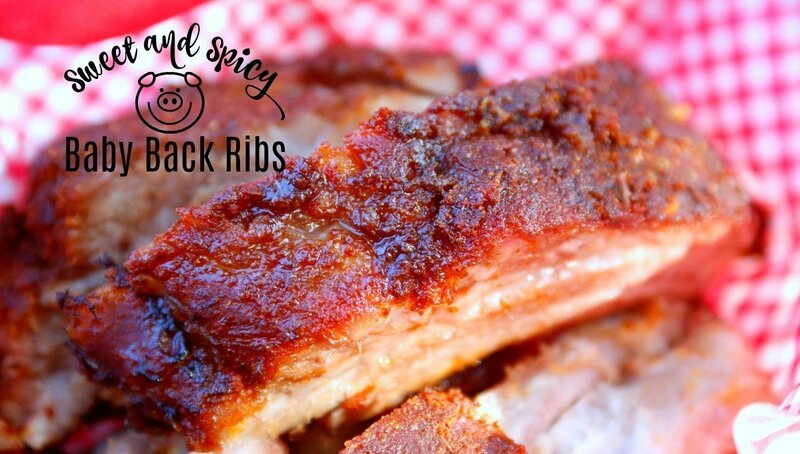 If you're thinking about throwing an I Do BBQ, consider adding my sweet and spicy baby back ribs to your menu. Ah, my last close single friend (say that three times fast) just got engaged last week and I am so excited to steal all these ideas. They live in Reno, home of the rib cook-off, so this perfect. Thank you Beth and congratulations to your friend!!! This party is gorgeous! Love everything about it! Wow what a lovely I Do BBQ. 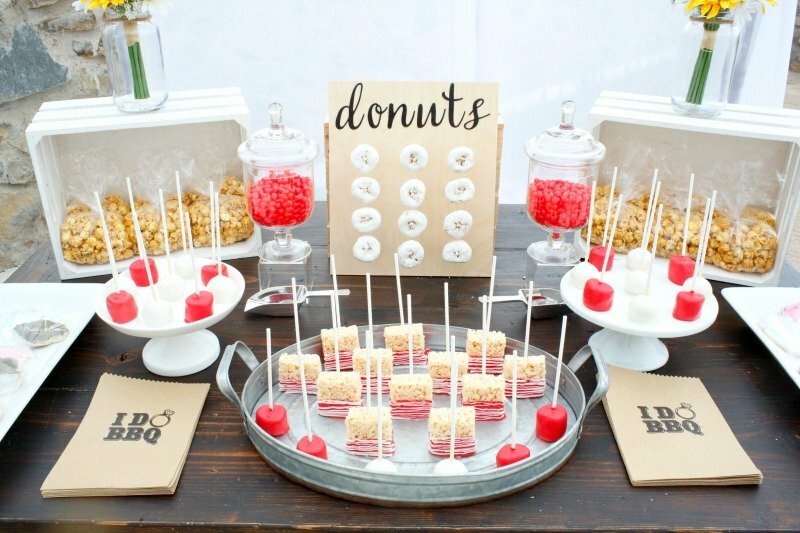 The styling was fantastic and the desserts look so yummy. All the details were perfect. Love your theme! Everything is very pretty. 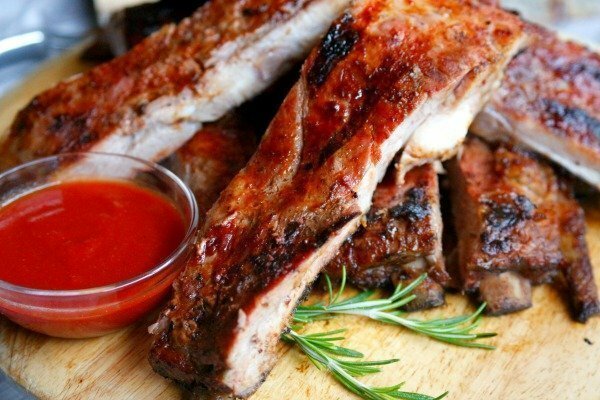 What a great idea to have a BBQ! This is so lovely! 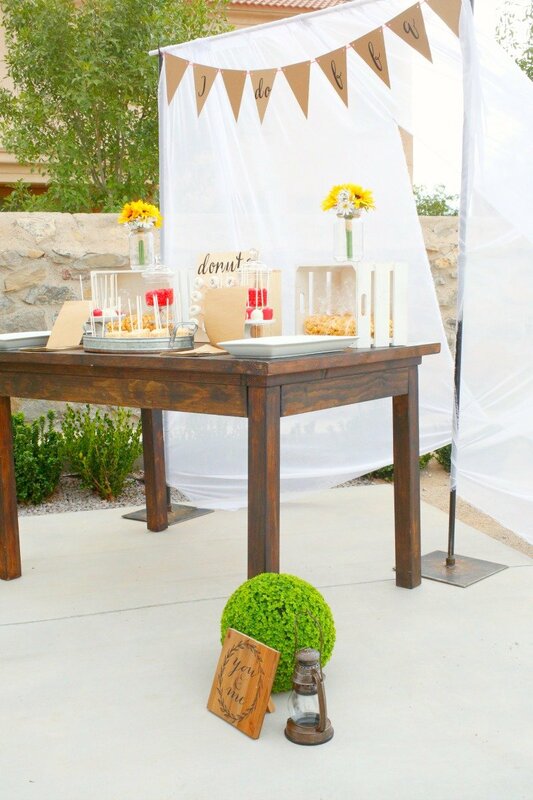 Beautiful tablescape and those cookies are fantastic!